There are many ways for you to stay involved after you graduate. You can mentor a student, volunteer or support a school program. Membership is automatic, free, lifelong and is extended to anyone who has successfully completed a full course or at least one semester as part of a study abroad/exchange program at the Sydney Institute of Interpreting and Translating. Whether you&apos;re new to the alumni community, or a long-time member looking for a career change, these resources are for you. 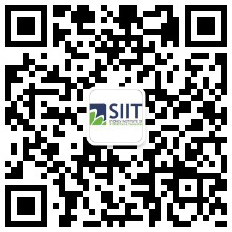 All SIIT graduates are alumni and an important part of our vibrant, growing community. Contact Alumni Coordinator to update your details and keep in touch with your friends and trainer. Congratulations on your achievement - welcome to the SIIT global alumni community. Stay connected to access exclusive membership benefits, and take the chance to change the world as we know it. From volunteering and mentoring to developing global networks - SIIT alumni do amazing things. Read our latest news. SIIT alumni do some amazing things - choose from a range of alumni events. Every student deserves a chance to change the world as we know it. Donate to Achieving Potential Scholarships today. Browse the special offers available exclusively to SIIT alumni.